This is a traditional X table. 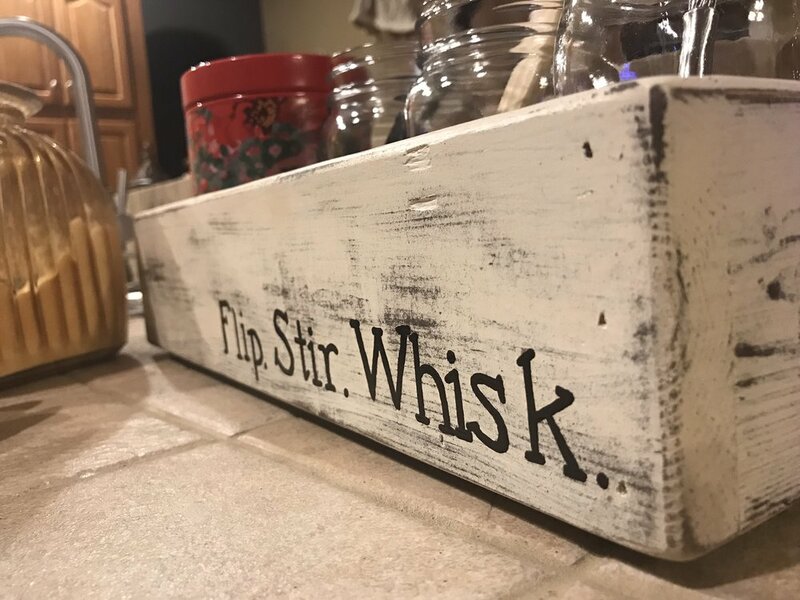 This one is painted Biscuit white on the base and then antiqued with a mix of stain and antiquing wax. 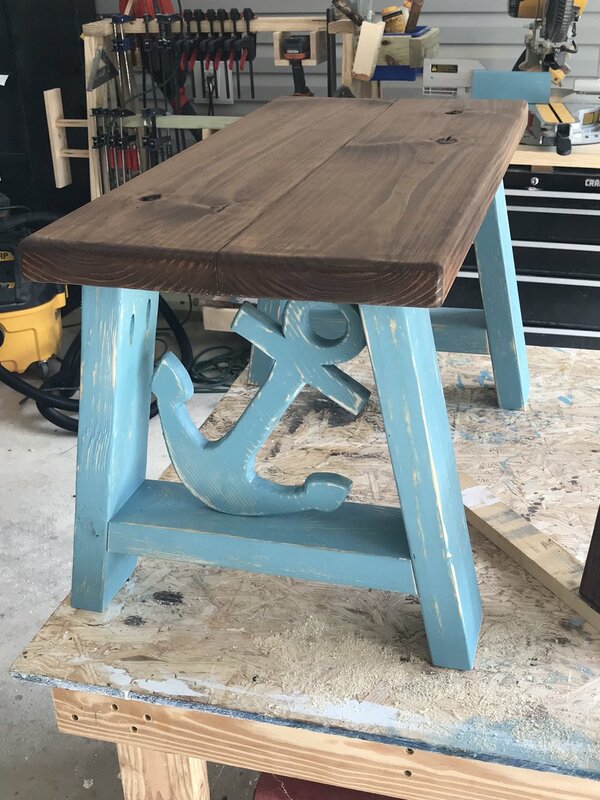 The top is stained dark walnut. 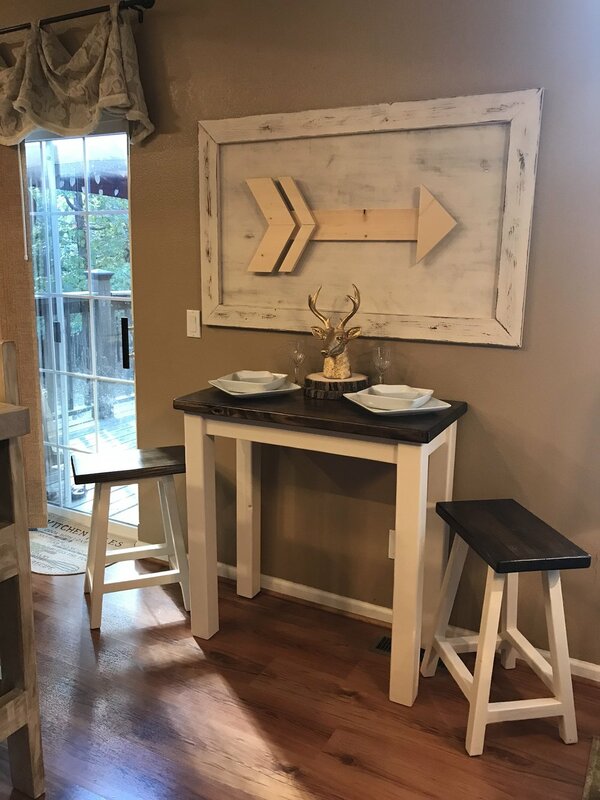 This is our bistro table with matching stools. Perfect for small spaces or breakfast nooks. Dark walnut stained top with biscuit white base. This is a traditional style dining table with distressed base and dark walnut top. These are the furniture pieces we have created so far for the living room. Any of these can be custom ordered. Colors and sizes can be customized to fit your needs. This set is stunning! 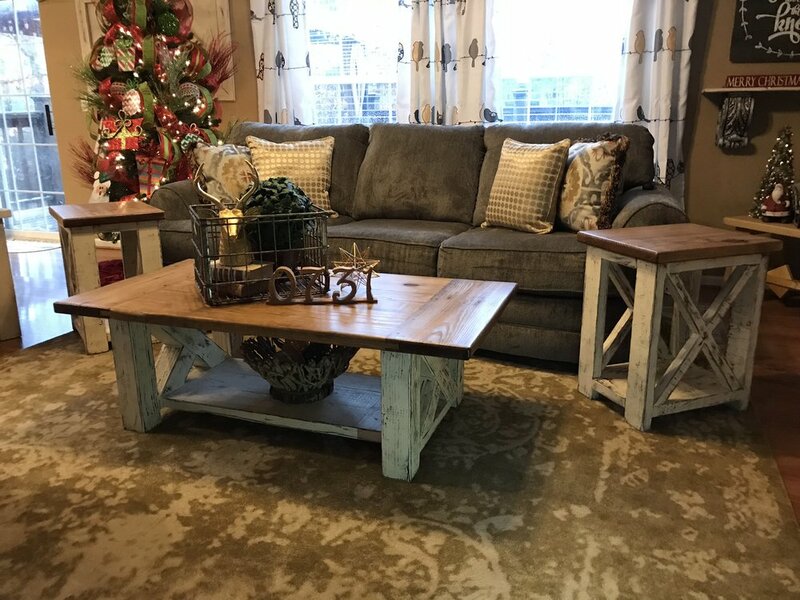 This chunky coffee table with X accents on each end make the perfect set for any farmhouse style. The top features classic breadboard ends. Complete the set with matching end tables. 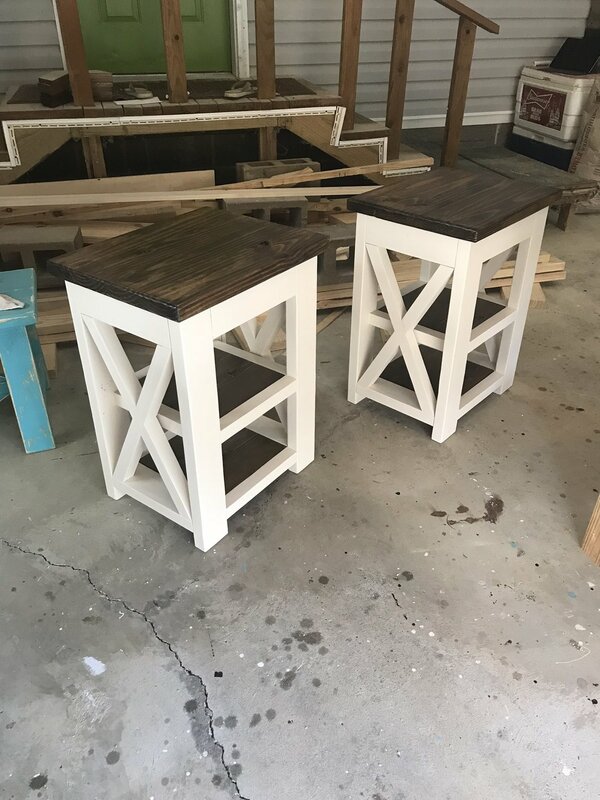 These beautiful cottage style end tables are our most popular table. 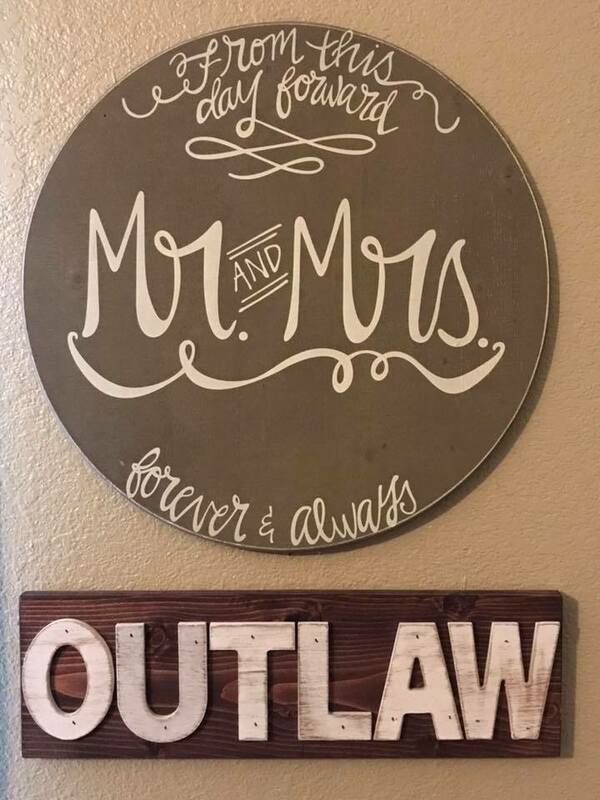 They are perfect for the living room. 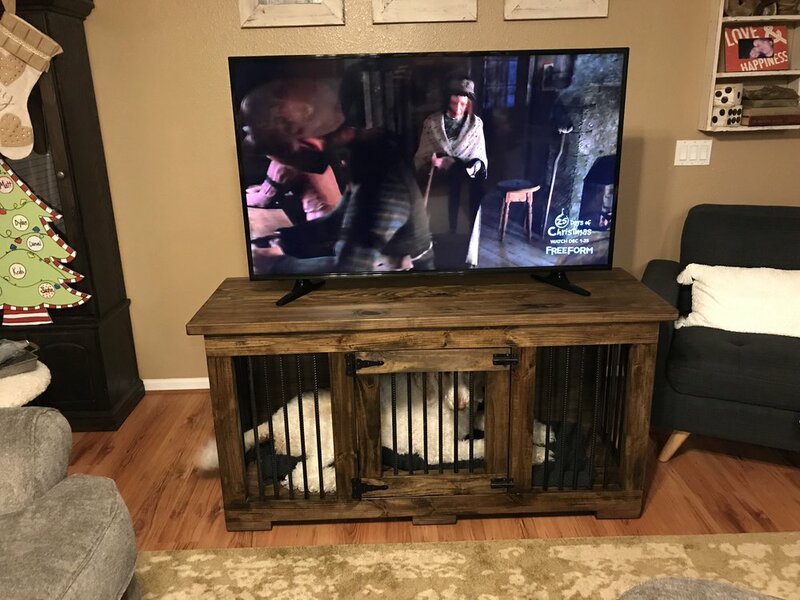 They can be customized to fit any area. 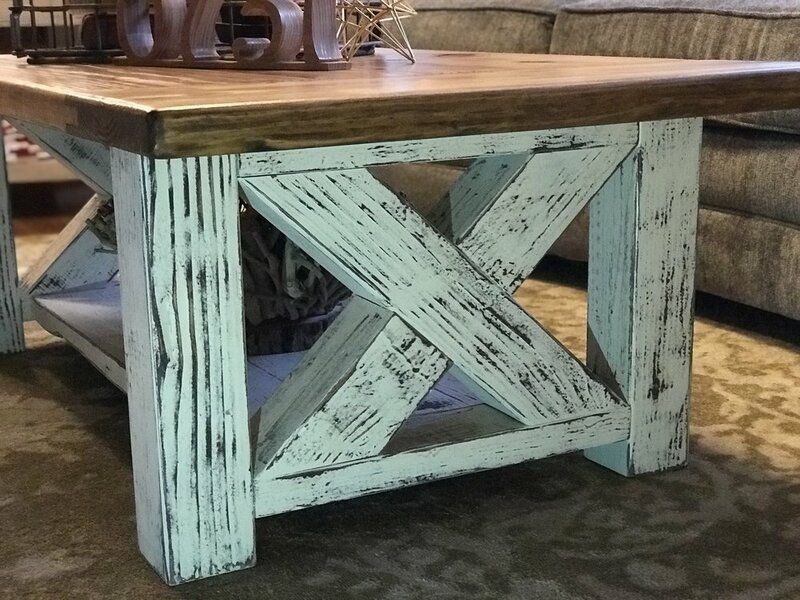 This coffee table will be the centerpiece of your living room. It is large enough for a king or queen. As with everything we build, custom sizes available. This 3 tier end table is beautiful and functional. The shelves provide an area for storage or home decor. These are smaller, so they are perfect for small spaces. The coastal set gives you one large and one smaller end table. 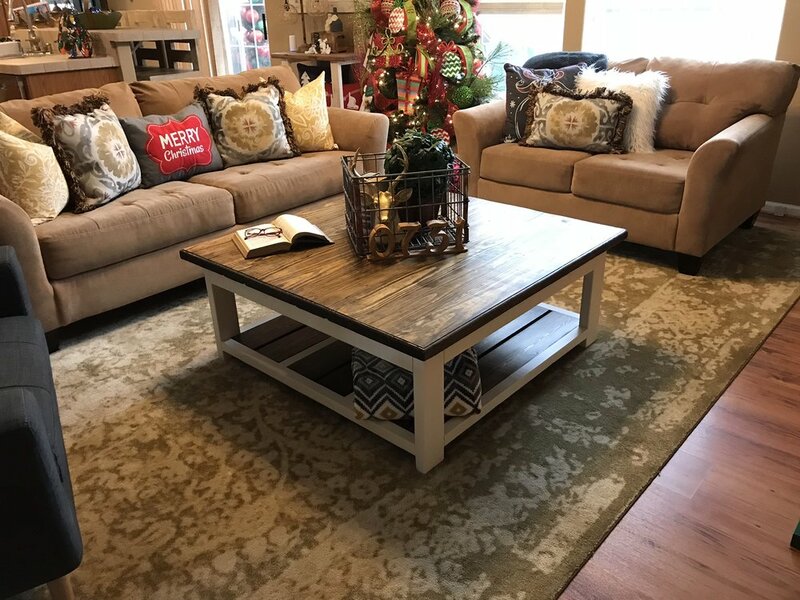 The larger table works great as a coffee table, where the smaller is perfect size to fit between two comfy chairs! Organization is important in today's busy world. We love to build hall trees for your home to help with that. These can be custom sized to fit your needs. Our Koda table is small. Perfect for sofa or chair side to keep your drink, book, or electronics at arms reach. 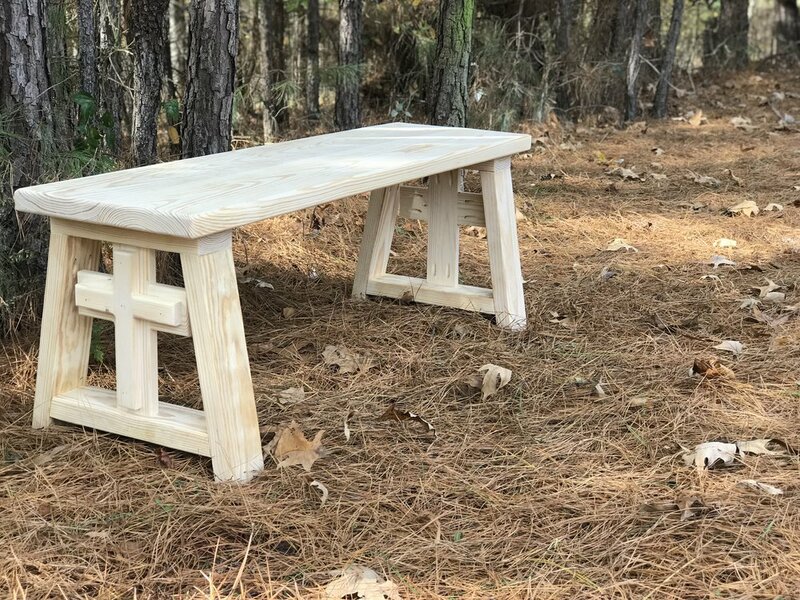 This compact table is expertly named after our littlest dog, Koda! This twin size bed frame is sturdy and fits the rustic decor of any home. This bed frame is perfect to get a mattress up off the floor. This is a platform style frame that doesn't require a box springs for your mattress. These night stands can be built in any size / color combination to meet your needs. This beautiful kitchen cart is perfect to add extra storage and conveinence to any kitchen! Two drawer kitchen island with storage shelving underneath. In this picture there is no top on the island because the customer was having the top installed on site. Decorative boxes help keep the counter tops organized and add a beautiful touch to your kitchen. 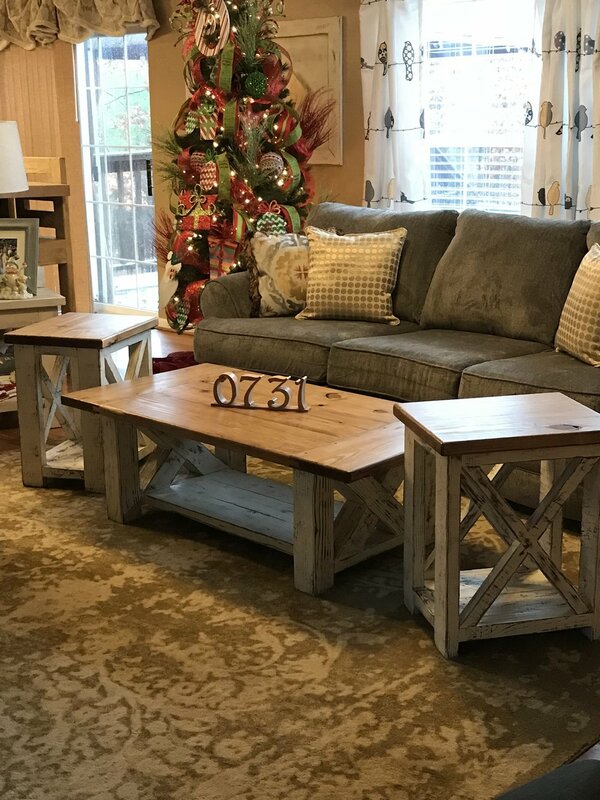 Our accent furniture and decor looks amazing in any home. Entryway benches with shoe storage underneath will keep your doorway neat and tidy. The arrow, once released from it's bow, represents a natural transition in one's life. It stands for launching forward into something amazing. As long as you hold on to one another, your love arrow will always be pointing in the right direction! We can build these decorative table or counter boxes a variety of sizes and styles. 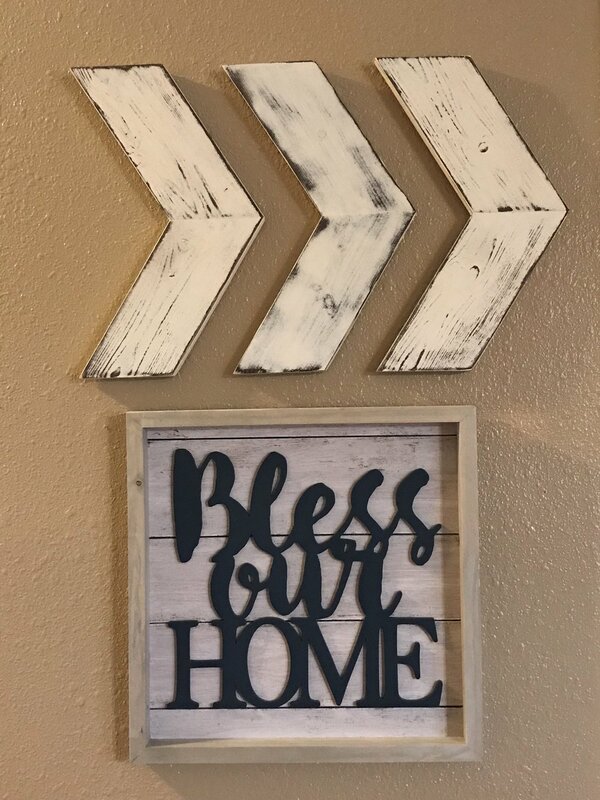 We build a variety of chevron and arrow decor. 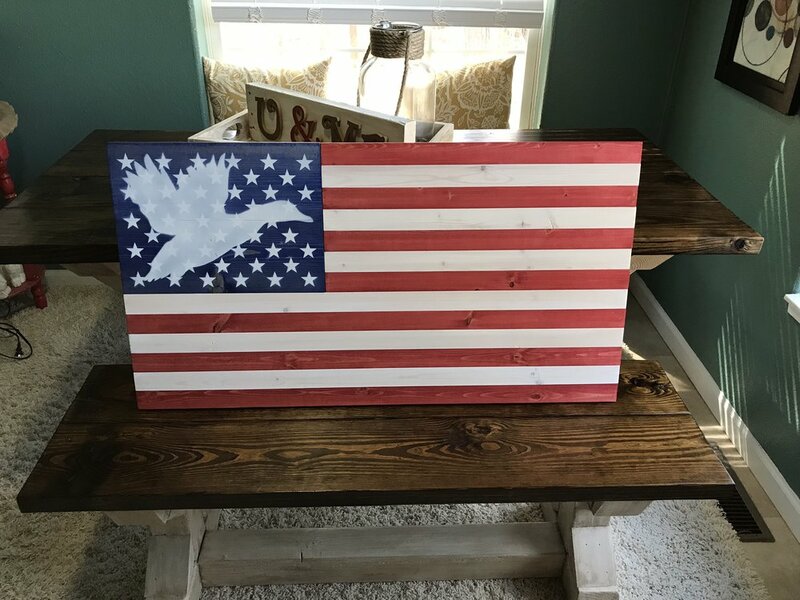 Any color or stain available. 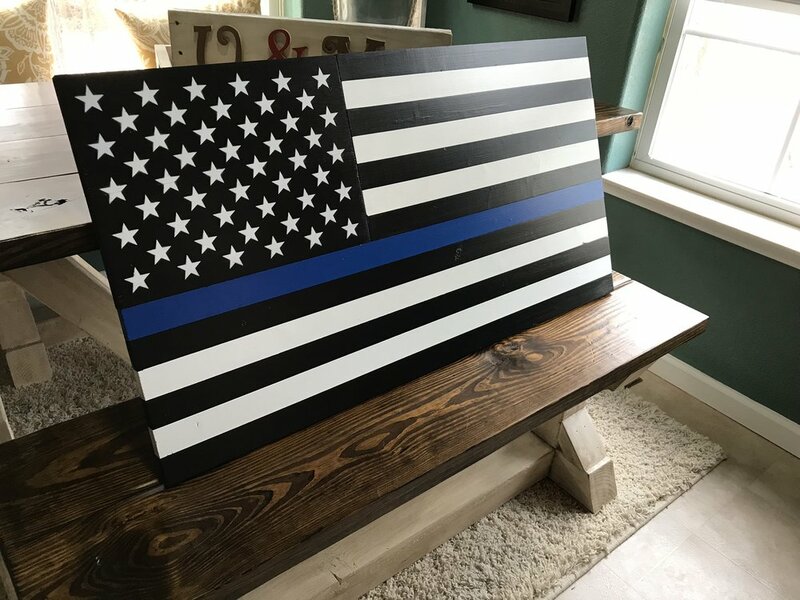 Show your support for our men and women in blue with this Thin Blue Line Wall Art Flag. We build these custom to order. 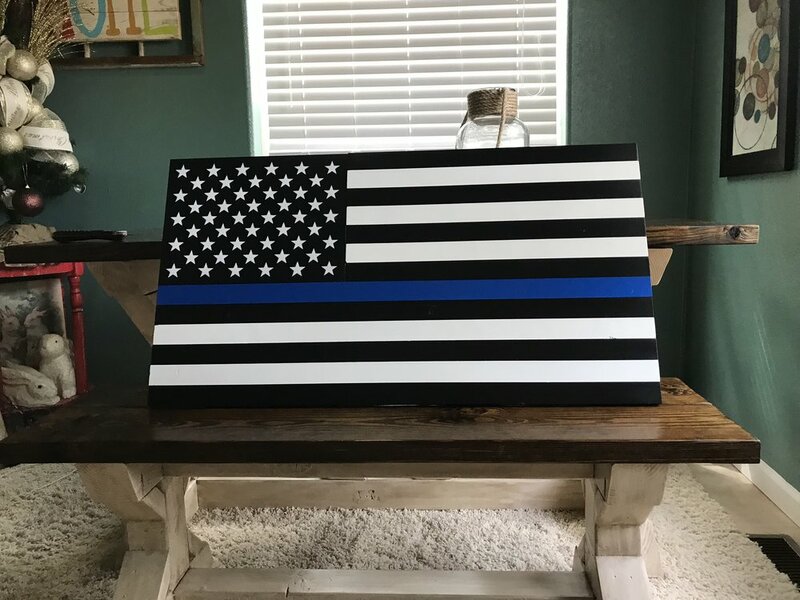 Thin Red Line Wall Art Flag also available. Hebrews 6:19 Bench. These benches make great conversation pieces. 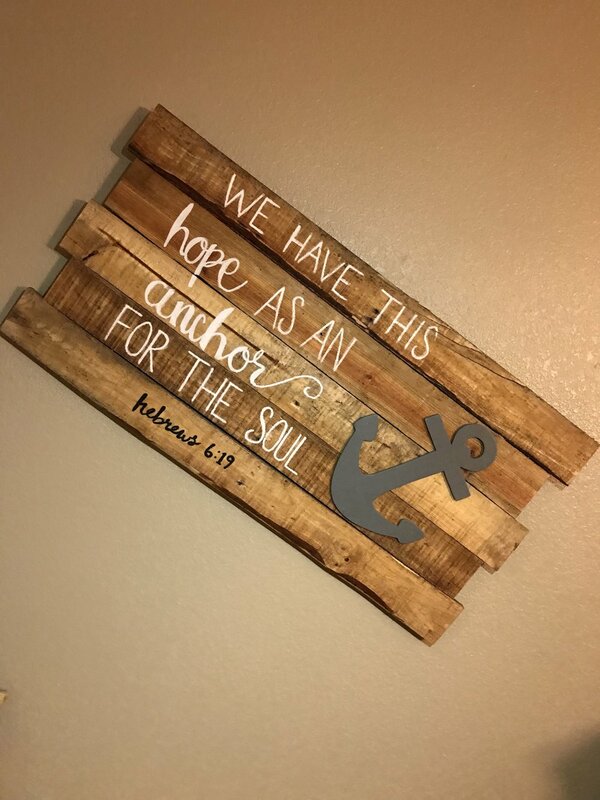 The anchor detail is on each end. This beautiful desk features 4 drawers with full extension ball bearing slides. The satin nickel drawer pulls add beauty to the desk The detail around the top, base and drawer faces add a nice touch to the desk. 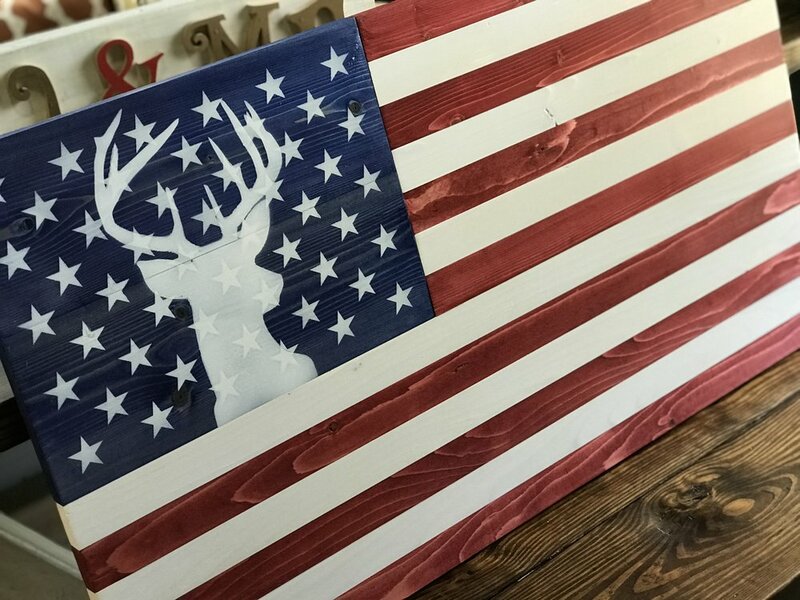 This American Flag features the silhouette of a buck deer in the Union. Stained red, white, and blue with the painted stag in the union. Show your love for the white tail buck and America! This is our cross bench. We are believers in Jesus Christ as our savior! This is a beautiful red, white, and blue stained American flag with the flying duck silhouette in the union. Show your love for ducks and country by ordering one for you home, camp, or man cave today! 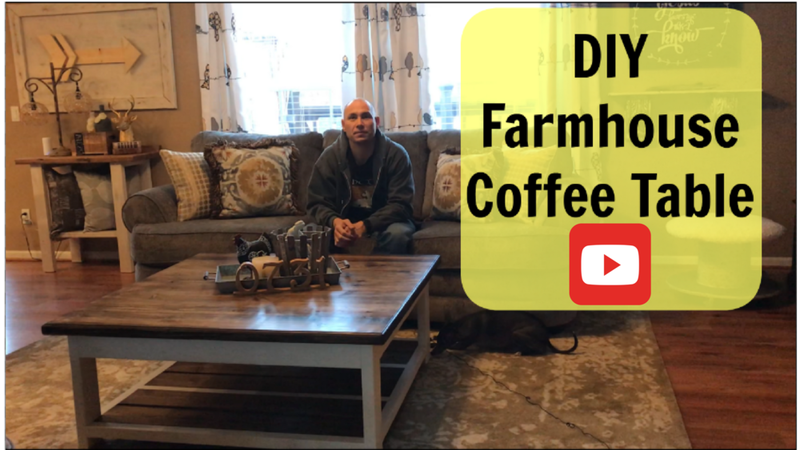 Watch our YouTube Channel to see DIY and How-To videos. We also have tips and tricks as well as tool reviews. Check out my most popular video!! !